The sailing area presents several navigational hazards. Ensure you consult a proper chart. Start green buoy U5 means the start is in a northerly direction between the RC flag on the Beacon wharf and green buoy U5; i.e. leave U5 to starboard. Start red buoy U6 means the start is in a southerly direction between the RC flag on the Beacon wharf and red buoy U6; i.e. leave U6 to port. Finish green buoy U5 means the finish is in a southerly direction between the RC flag on the Beacon wharf and green buoy U5; i.e. leave U5 to port. Finish red buoy U6 means the finish is in a northerly direction between the RC flag on the Beacon wharf and red buoy U6; i.e. leave U6 to starboard. Start green buoy U5. Dock Island to port. Joan Rock and Dock Island to starboard, green buoy U5 to port (shortened course finish), U2 to port, finish red buoy U6. Start green buoy U5. Ker Island mark to starboard, Dock Island to port. Joan Rock and Dock Island to starboard, finish green buoy U5 to port. 03 Arachne Reef 9.7 mi. Start green buoy U5. Dock Island to port. Joan Rock to starboard. Arachne Reef and Joan Rock to port. Dock Island to starboard. Finish green buoy U5. Start green buoy U5, Dock Island to port, U15 to port, Dock Island to starboard, green buoy U5 to port, (shortened course finish) U2 to port, finish red buoy U6. 06 Celia Reef 10.8 mi. Start green buoy U5. Dock Island, Imrie Island, Celia Reef buoy to port. Coal Island and Dock Island to starboard. Finish green buoy U5. 07 Canoe Rock 11.0 mi. Start green buoy U5. Dock Island to port. Canoe Rock to port. Coal Island and Dock Island to starboard. Finish green buoy U5. 08 Rum Island Reverse 11.0 mi. Start green buoy U5. Dock Island to port. Joan Rock, Gooch Island light, South Cod Reef buoy to starboard. Sidney Spit to port. Finish green buoy U5. 09 Portland Island 14.4 mi. Start green buoy U5. Dock Island, Canoe Rock, Portland Island, Chads Island, Brackman Island to port. Coal and Dock Island to starboard. Finish green buoy U5. 10 Moresby Island 14.5 mi. Start green buoy U5. Dock island to port. Canoe Rock and Moresby Island Fairfax Point to starboard. Joan Rock to port. Dock Island to starboard. Finish green buoy U5. 11 Russell Island 16.2 mi. Start green buoy U5. Dock Island, Canoe Rock, Russell Island, Brackman Island and Celia Reef to port, Dock Island to starboard. Finish green buoy U5. 21 Forest Island 6.0 mi shortened course; 10.3 mi total. Start green buoy U5. Forrest Island light and Forest Island to port, green buoy U5 to port (shortened course finish), U2 to port, finish red buoy U6. 22 Ker and Forest 6.8 mi shortened course; 11.1 mi total. Start green buoy U5, Ker Island mark to starboard, Forrest Island light and Forest Island to port, green buoy U5 to port (shortened course finish), U2 to port, finish red buoy U6. 23 South Cod 7.1 mi shortened course; 11.4 mi total. Start green buoy U5, Sidney Spit to starboard, South Cod Reef buoy to port, Sidney Spit to port, green buoy U5 to port (shortened course finish), U2 to port, finish red buoy U6. 25 Ker and South Cod 7.9 mi shortened course; 12.2 mi total. Start green buoy U5, Ker Island mark to starboard, South Cod Reef buoy to starboard, Sidney Spit to port, green buoy U5 to port (shortened course finish), U2 to port, finish red buoy U6. 26 Brethour Island 9.1 mi. Start green buoy U5. Forrest Island light, Rubly Island, Brethour Island, Joan Rock buoy, Reay Islands to port. Dock Island to starboard. Finish green buoy U5. 27 UT (south east of Mandarte Island) 10.66 mi. Start green buoy U5, Sidney Spit to Starboard, UT to port, Sidney Spit to port, finish green buoy U5. 28 Rum Island 11.0 mi. Start green buoy U5. Sidney Spit to starboard. South Cod Reef buoy, Gooch Island Light, Joan Rock to port. Dock Island to starboard. Finish green buoy U5. 29 Gooch Island 11.2 mi. 30 Rum-Forrest Islands 12.1 mi. Start green buoy U5. Forrest Island to starboard. Domville Island and it’s satellite islands (Rubly and Sheep) to port. Arachne Reef, Gooch Island light, South Cod Reef buoy to starboard. Forrest Island to port. Finish green buoy U5. 50 U2 and Forrest Island 9.1 mi shortened course; 13.4 mi total. Start red buoy U6. Sidney channel mark (U2) to port. Sidney Spit to starboard. Forrest Island Light and Forrest Island to port, green buoy U5 to port (shortened course finish), U2 to port, finish red buoy U6. 51 U2 and Joan Rock 10.5 mi. Start red buoy U6. U2 channel mark to port. Dock Island to port. Joan Rock to port. Dock Island to starboard. Finish green buoy U5. 52 D'Arcy Shoals 12.0 mi. Start red buoy U6. D'Arcy Shoals buoy to port. Finish red buoy U6. 53 James Island 12.6 mi. Start red buoy U6. D'Arcy Shoals Buoy to starboard, James Island to starboard, finish red buoy U6. 55 James Island Reverse 12.6 mi. Start red buoy U6. James Island to port, D'Arcy Shoals buoy to port, finish red buoy U6. 56 Sidney Island Reverse 14 mi. Start red buoy U6. Sidney Island to port, Sallas Rocks to port, Sidney Island to port. Finish green buoy U5. 57 Little Zero Rock 17 mi. Start red buoy U6. James Island, D'Arcy Shoals buoy to starboard. Little Zero Rock red buoy (V30), D'Arcy Shoals buoy and James Island to port. Finish red buoy U6. 60 Ker and U2, marks to port; 2.6 mi shortened course; 7.2 mi total. Start green buoy U5. Ker Island mark and green buoy U5 to port (shortened course finish), U2 to port, finish red buoy U6. 61 Ker & Sidney Spit; 2.6 mi shortened; 6.0 mi total. Start green buoy U5. Ker Island mark and green buoy U5 to port, (shortened course finish), Sidney Spit mark to port, finish red buoy U6 to starboard. 62 Ker, Sidney Spit and James; 4.8 mi shortened; 11.0 mi total. Start green buoy U5. Ker Island mark, Sidney Spit mark, green buoy U5, red buoy U6 all to starboard (shortened course finish), Ker Island mark and James Island mark to starboard, finish red buoy U6. 63 Ker and James; 6.4 mi shortened; 9.8 mi total. Start green buoy U5, Ker Island mark to starboard, James Island mark to starboard, red buoy U6 to starboard (shortened course finish), Sidney Spit mark to starboard, finish red buoy U6 to starboard. 65 Sidney Spit and James; 3.4 mi shortened; 7.5 mi total. Start green buoy U5, Sidney Spit mark to starboard, green buoy U5 to port (shortened course finish), James Island mark to port, finish red buoy U6. 66 Sidney Spit, James and Ker; 5.7 mi shortened; 10.2 mi total. Start green buoy U5. Sidney Spit mark, James Island mark, green buoy U5, red buoy U6 all to starboard (shortened course finish), Ker Island mark and Sidney Spit mark to starboard, green buoy U5 to starboard, finish red buoy U6. 67 Sidney Spit and Ker; 3.4 mi shortened; 5.8 mi total. Start green buoy U5. 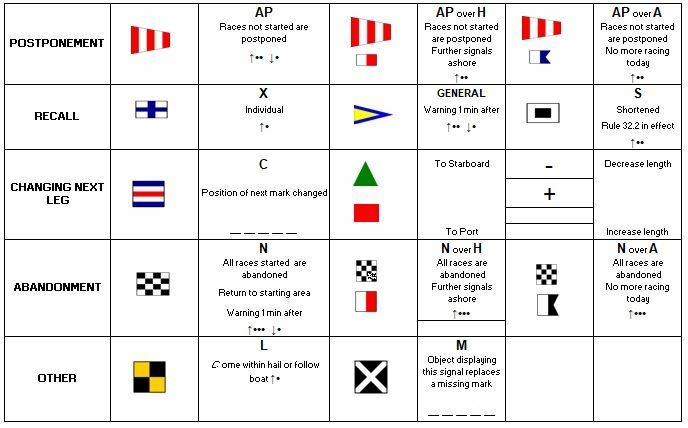 Sidney Spit mark to port, red buoy U6 to starboard (shortened course finish), Ker Island mark to starboard, finish green buoy U5. 68 Sidney Spit and Barge; 8.3 mi total. Start green buoy U5. Sidney Spit mark to starboard, Saanichton Bay barge buoy to starboard, finish green buoy U5 to starboard. 69 Sidney Spit, U2 and Ker; 8.0 mi shortened; 12.3 mi total. Start green buoy U5. 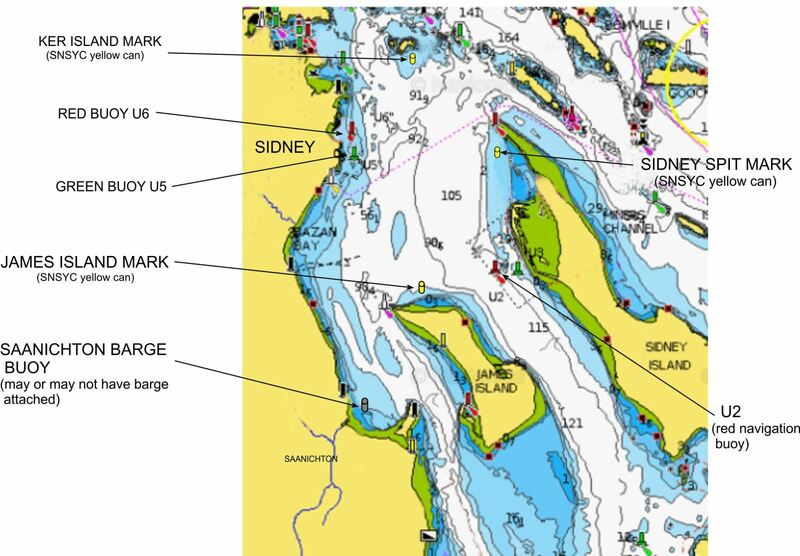 Sidney Spit mark to starboard, green buoy U5 to port, Sidney channel buoy U2, and red buoy U6 to starboard (shortened course finish), Ker Island mark and Sidney Spit mark to starboard, finish red buoy U6 to starboard. 70 U2 to port; 4.8 mi shortened; 8.2 mi total. Course not recommended if ebb tide at U2 in light airs. Start red buoy U6. Sidney channel buoy U2 to port, red buoy U6 to starboard (shortened course finish), Sidney Spit Mark to starboard, finish red buoy U6 to starboard. 71 U2 to starboard; 4.8 mi shortened course; 7.2 mi total. Course not recommended if flood tide at U2 in light airs. Start red buoy U6. Sidney channel buoy U2 to starboard, red buoy U6 to starboard (shortened course finish), Ker Island mark to starboard, finish green buoy U5. 72 U2, Sidney Spit and James; 5.6 mi shortened course; 9.7 mi total. Start red buoy U6. Sidney channel buoy U2, Sidney Spit mark, green buoy U5 all to port (shortened course finish), James Island mark to port, finish red buoy U6. 73 James Mark and Sidney Spit; 4.4 mi shortened course; 7.8 mi total. Start red buoy U6. James Island mark to starboard and red buoy U6 to starboard (shortened course finish), Sidney Spit mark to starboard, finish red buoy U6 to starboard. Start red buoy U6. James Island mark and red buoy U6 to starboard (shortened course finish), Ker Island mark, James Island mark, green buoy U5 all to starboard, finish red buoy U6. 76 Barge Buoy and Ker Island Mark; 6.6 mi shortened course; 9.2 mi total. Start red buoy U6. Saanichton Bay barge buoy to port, red buoy U6 to starboard (shortened course finish), Ker Island mark and green buoy U5 to starboard, finish red buoy U6. Start red buoy U6. 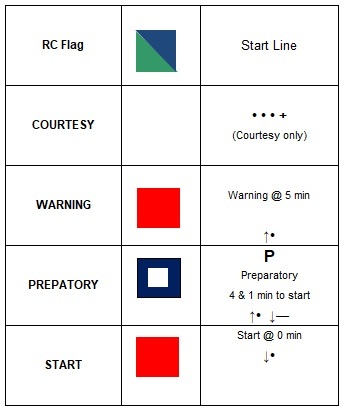 Saanichton Bay barge buoy and red buoy U6 to starboard (shortened course finish), Sidney Spit mark to starboard, finish red buoy U6 to starboard. Island mark, green buoy U5 all to port (shortened course finish), Saanichton Bay barge buoy to port, finish red buoy U6. -the time limit for Summer Fun races is 3 hours.